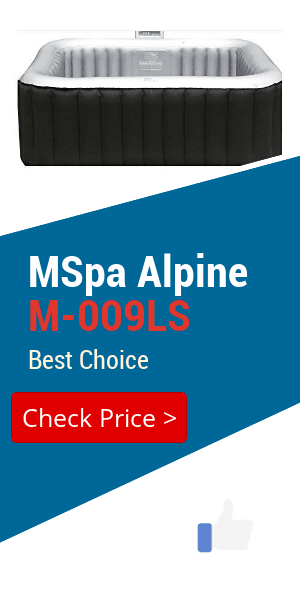 If you’ve been into the market for outdoor hot tubs you may have encountered the brand MSpa. 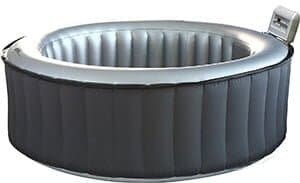 The company is one of the leading manufacturers of inflatable and portable hot tubs because of their constant innovation and numerous patented technologies. 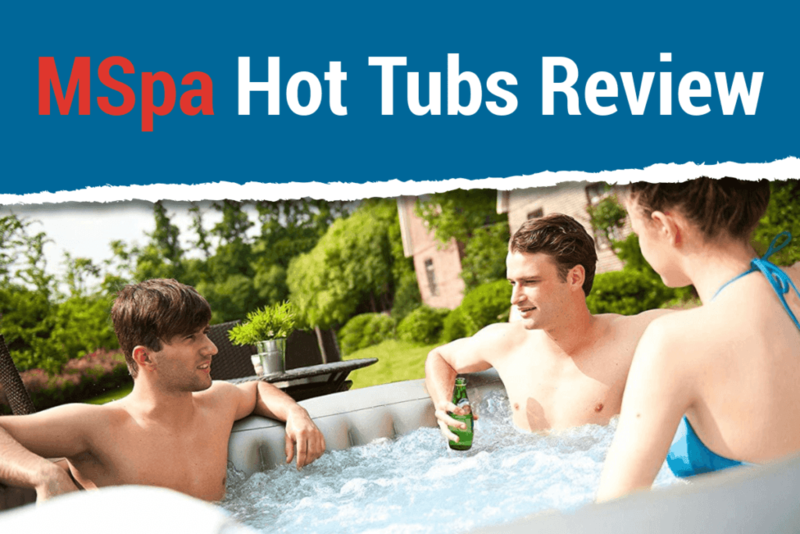 In this inflatable hot tub review, we’re giving you an exclusive review on MSpa hot tubs that includes some of the best products they have in their inventory. If you want to read about different brands, check out this guide instead. A great alternative if Soho and Lite Alpine are out of stock, the Elite Jet Reve features the same control panel and functions as the other two models. The MSPA Super Camaro Relaxation and Hydrotherapy is considered as one of the high-end massage spa units today. 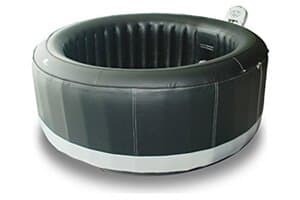 The M-009LS Lite Alpine Square is one of the inflatable hot tubs that aren’t shaped like a circle which makes seating positions a bit different. Priced at around $668 in Amazon, MSPA Super Camaro Relaxation and Hydrotherapy can accommodate up to six persons at the same time. 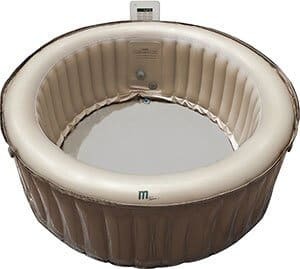 This round-shaped massage spa unit boasts its built-in control system and whisper-quiet technology. Users may enjoy a comforting massage through its 138 adjustable massage jets that produce bubbles to support and surround the body while giving relaxing tough. Aside from that, the MSPA Super Camaro Relaxation and Hydrotherapy also have a built-in heater, which makes it one of the most powerful massage spa units at present time. Its Variable Speed Blower technology allows users to adjust the massage intensity between three levels. Moreover, MSPA Super Camaro Relaxation and Hydrotherapy has a heat preservation mat, touchscreen LCD -- which lets you manage whatever goes on the tub -- and a zipped on top cover with digital clock. It is available in two colors: black premium and black with gray. 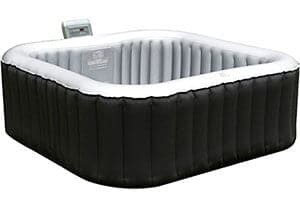 The M-009LS Lite Alpine Square is one of the inflatable hot tubs that aren’t shaped like a circle. As such, it has a very different seating position from what you are most likely used to. However, there is no question it gives off one of the most relaxing hot baths because of its numerous comfort-centric technologies. This product is made of reinforced 6-layered PVC cover material with metallic liners that gives it a solid structural frame when inflated. Four bathers can enjoy a nice warm dip in its water that is heated with a built in heater that doesn’t make any noise. Best of all, it has 108 bubble jets strategically placed to give your body a total bubble massage. One of the products that deserve to be in any MSpa Hot Tub reviews is the JB-301 Elite Jet Reve Hot Tub. 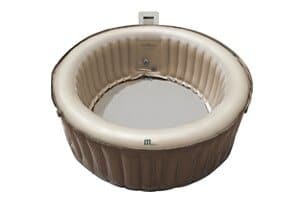 It’s got a nice circular shape with solid insulated walls that will make your hot tubing experience very comfortable. This spa has an impressive 118 air jets that you can control in 3 speed settings. Moreover, it also has an ozone generator which ensures that the water in the tub is smooth and great for your skin. Four people can enjoy a relaxing bath together and be treated in a session of makeshift physiotherapy. You can even manually control the flow and direction of the water through its chrome jet ports. There is also an LCD touchscreen control panel where you can adjust the temperature of the water as well as other functions. Finally, it includes a spa cover to help keep the water warm when not in use, or keep children off the tub when you’re not looking. The only outdoor spa that can seat six people in the list is the M-021LS Lite Silver Cloud. When fully inflated, it can expand up to a massive 80-inches in diameter which gives it plenty of leg space to work with. While being huge, the inflatable tub is fairly light and weighs less than 60 pounds - perfect if you want to move it around your backyard from time to time. Like the ones before it, the Lite Silver Cloud is also made of rhino-tech 6-layered PVC material and a metallic liner and has the most air jets - 138 to be exact - which can be controlled via its lite control panel. Additionally, it also has the staple whisper quiet technology in its heater, which lets you enjoy your bathing experience better. Judging from the other MSpa Hot Tub reviews we had on the past, I could at least say that the products in this list doesn’t disappoint. They are all innovative in their own way and offers unique value proposition which is hard to ignore even by the choosiest buyers. You should buy one for your home now and stop reading inflatable hot tub reviews.